Anne M. Cafer is an assistant professor of sociology at the University of Mississippi. 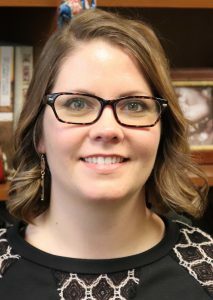 She also serves as coordinator for the Community Based Research Collaborative housed within the UM Center for Population Studies, of which she is an affiliated researcher. She holds a bachelor’s of science in both molecular biology and sociology, a master’s in anthropology and a Ph.D. in rural sociology. Her research uses a systems approach to examine community resilience and social change around food procurement, agricultural systems, environmental sustainability and health/nutrition at the community level. She works primarily in Sub-Saharan Africa and the Mississippi Delta. She also has an interest in the scholarship of teaching, specifically the impacts of community-engaged learning on both community and student outcomes. Her advanced courses are community-based, participatory research courses where students are actively involved with community stakeholders to explore collaborative solutions to non-resilient systems. Cafer is a former Borlaug Scholar in Global Food Security, a member of the prestigious Rollins Society at the University of Missouri and has worked as a consultant with groups such as Land O’Lakes International Development and the Association of Public and Land-grant Universities. She also edits Community Development Practice, a publication of the Community Development Society that presents innovative approaches, tools and techniques that can be readily applied by community development practitioners and applied researchers.